Bulgaria's businessmen warned Wednesday of hard times coming for the industry if politicians fail to defend the country's greenhouse emission quotas at the press conference of the Bulgarian Industrial Association (BIA). The EC said in October that the country's environment ministry did not offer compelling arguments in defense of its demand for a bigger quota. "If the problem is not solved, Bulgaria will have to buy carbon credits and this will be disastrous for industry," Danev said and added that the opinion of the representatives of industry on the issue was brought to the knowledge of all Bulgarian MEPs. BIA also called for transparency in distribution of the emission quota in the country and declared the industry is ready to propose a fair distribution scheme. 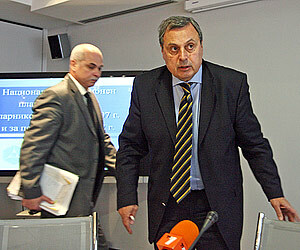 "If quota distribution is left entirely in the hands of the state, this will be a premise for corruption," Danev said. Bulgaria is to submit in writing its objections over the reduced quota to the European Commission within a week. Last Thursday environment minister Dzhevdet Chakarov met EU Commissioner for the Environment Stavros Dimas in Brussels in a bid to protect the emissions quota. The two agreed to discuss the issue again at the UN conference on climate change that starts in Bali on December 3.